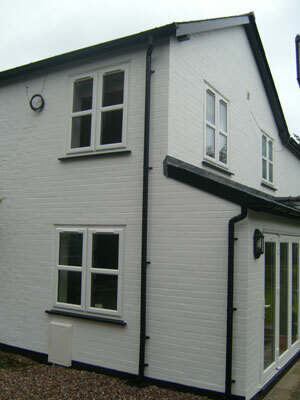 I have employed Chris Eager on a range of domestic building projects over the past ten years or so. Besides building extensions to my own house, my son's house and those of friends, he has been involved in projects for my clients. I have found Chris to be a very good builder on this type of domestic property which he has carried out professionally for me. He is a hardworking, conscientious, reliable and a well organised, tidy builder. He has a good knowledge of the principles of building and associated technology. His craft skills are very good and he expects the same from other trades people, who he calls on from time to time to assist him with the projects. I have had a good working relationship with him and I have found him amenable to the occasional adjustments that sometimes become necessary, as work progresses. He is willing to make practicable solutions to overcome the occasional unpredicted snag. I have found his prices competitive and very fair. I am rarely compelled to write letters of recommendation, indeed I can’t remember the last time I did so. However, in your case, I make an exception. The reason being is that we are absolutely delighted with the 2 storey extension you built for us. I cannot speak highly enough of the work you did, not only did you complete the job ahead of schedule and to an incredibly high standard but the site was left pristine at the end of each day. You and your team were a pleasure to have at the house and I was particularly impressed with the open and transparent way you conduct your business from initial quotation through to completion. I was also impressed with the way in which you managed the project “end to end” incorporating every aspect of the build right through to the bathroom installation and the addition of fixtures and fittings – your attention to detail and search for perfection was particularly admirable. Having heard and read horror stories about ‘cowboy builders’ I was delighted to find a skilled builder I could trust and who delivers on their promises. I look forward to using your services again in the future and I would wholeheartedly recommend you to others. In addition, I would be delighted to host any potential customers to view the quality of your workmanship". We have used Chris for two completely separate jobs, one for a large brick built garden room, and the other for a bathroom update with adjacent en-suite bathroom. We were completely satisfied with both jobs, and in summary, he provides competitive quotations, keeps to the budget, carries out all the work to an agreed timetable, and is reliable and punctual. The standard of work is excellent; he thinks his way through problems and organises other trades effectively. He is a no-nonsense craftsman who you can trust and rely on". .
We contacted Chris Eager concerning a quote for a garage conversion. The face-to-face discussion about the project was both professional and helpful. The quote was delivered promptly and showed an understanding of what we wanted and was reasonable. The whole project was managed extremely competently from start to finish, efficiently integrating other professionals- electrician, plasterers, and central heating engineers. No time was wasted and Chris and his associate Billy started early and were committed to the job each day during the four-week project. Chris took pains to consult us about details and offered creative suggestions for further improvements on our initial design. There were no surprises as to price and Chris and his team delivered to budget. 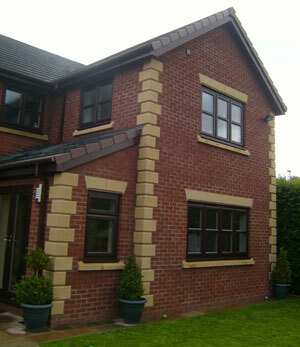 The quality of the workmanship throughout was superb and we are delighted with the result. In short, we would recommend CE Building Services unreservedly. 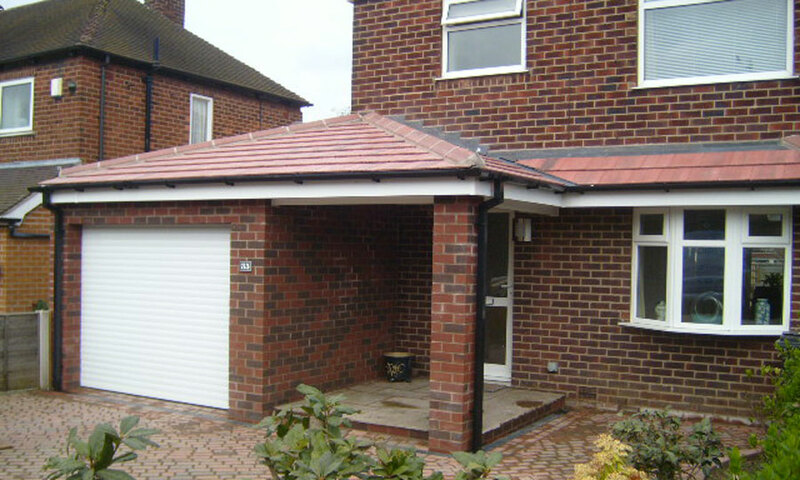 Chris, many thanks for doing such a great job on our garage conversion and related work. Everything was so easy from our point of view: you provided a professional and competitive quote, managed building regulations, completed the work to high quality and on time, and provided reassurance throughout. In addition, yourself and everyone else involved with the work were friendly, considerate to the impact of the work on our family, and everything was always left clean and tidy. It was a very positive experience from our point of view and we'd recommend you unreservedly to anyone (in fact we already have done). Many thanks. About four years ago, Chris Eager built an extension to the double garage at my home. The work was carried out to an excellent standard, the site was always left tidy at the end of each days work and the price was competitive. Additionally, the work was started when Chris said it would and was finished on schedule. The recent work at St James Church Hall was done in a similar manner and I would have no hesitation in using him again for any future building works.